Access pristine fishing destinations where fish have never seen a lure. The sea-run cutthroat fishing in the rivers of this region keep you smiling all summer. 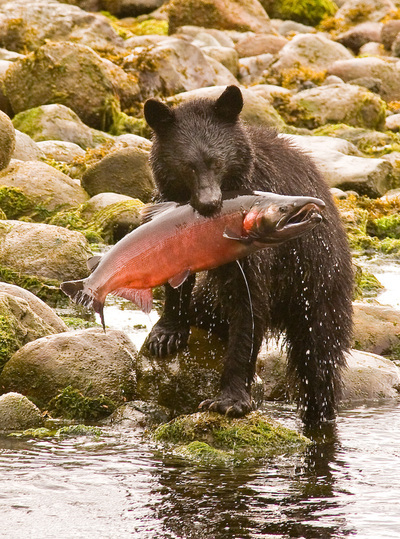 In the Fall, the rains bring all five species of salmon and hungry trout far up the beautiful rainforest valleys. Packages available for those avid anglers, and newbies who want to learn the fine art of fishing. 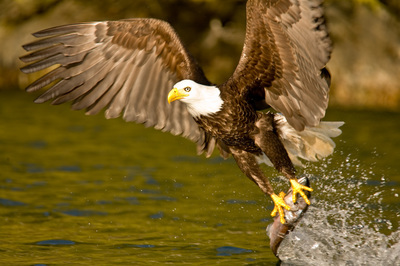 Scenery and wildlife viewing definitely amps up the experience. ﻿﻿Tofino﻿’s local guiding companies are your best bet for getting hooked up with some great gear and expertise to learn how to fish these waters! 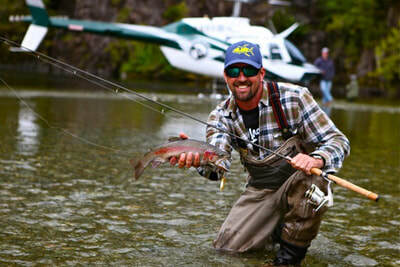 Vancouver Island has hundreds of fresh water lakes in beautiful settings offering the beginner or experienced anglers alike with unforgettable experiences. The possibilities are endless! 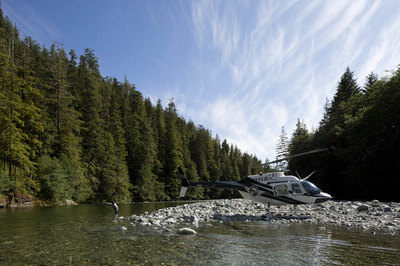 Using our Helicopter you could fish up to three to four different lakes in one day. Each lake has different characteristics regarding size and numbers of fish. The targeted species are cutthroat and rainbow trout. ​Prefer to fish on a river? ​Fly to a remote coastal river, land in spectacular wilderness and hike along the river viewing this remarkable eco-system--if you're lucky, you'll get to experience different wildlife feeding on migrating salmon. 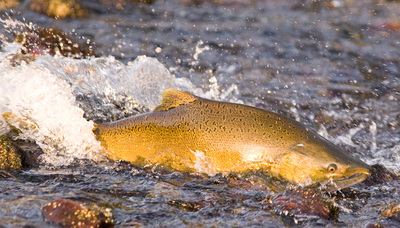 Try one of our river drifts for summer and winter steelhead. Sea-run cutthroats and resident rainbows are fished from April to October. Great opportunities exist for salmon in the Fall. Note: Fishing guide fees are extra. Inquire about pre-arranging the right guide for you.